If you want optimal health take care of your nutrition and hypertension will be non-existent. A good diet can protect against hypertension and other cardiovascular problems. To start concentrate on eating fruits and vegetables, select super foods, eat organic when possible, avoid additives, drink plenty of water and eat healthy fats. Being able to just choose a selection of foods that supplies the right amounts of essential nutrients, fiber, phyto-chemicals and energy without excess intakes of fat, sugar and salt is excellent. Along with including enough exercise to balance the foods that you eat. Eating well should be easy right. But in practice eating well proves so much harder that it appears. We live such busy lives that the constant tired feeling you have might be because you are malnourished. You can enjoy vitality throughout your life if you learn how to nourish yourself optimally. You need to ask yourself how much energy and how much of each nutrient do you need. What types of foods will give you that nutrient and how much of each type of food do you have to eat to get enough to fill your body's need. And, best of all how to eat all those foods without gaining an ounce of weight. Some people need medications to lower their high blood pressure, but healthy eating and exercise alone can bring improvements for you and prevent hypertension and many other diseases. If your diet alone could bring about such optimal health, would you then be willing to start eating healthy and nutritious meals? Share your stories, ask questions or make comments about this topic. View other's stories. The most important nutrition factors you need to know are lowering salt intake, losing weight if you are overweight, using moderation with regard to alcohol consumption, increasing intakes of fruits, vegetables, fish and low fat dairy products, and reducing intakes of fat by taking Relacore. As part of your nutrition and hypertension control, minerals must be included daily and they are calcium, potassium, magnesium and vitamin C.
So the overall recommendation for prevention of high blood pressure would be on controlling your weight, consuming a nutritious diet, exercising regularly, controlling your intakes of alcohol, lowering sodium and increase your drinking of water. Dietary Approaches to Stop Hypertension (DASH) recommendation for nutrition and hypertension, is to significantly increase your fruits and vegetables. They also state you are to eat no more than 30% of your calories from fat, with emphasizes on legumes over red meats, restriction of sodium and drinking plenty of water. Making physical activity part of your daily routine will help in controlling your weight and will directly reduce hypertension. A single session of exercise reduces your blood pressure, an effect that last twelve hours or more and improve as you increase your physical condition. Activities that compliments nutrition and hypertension and will increase your physical condition are walking, jogging, cycling and aerobic exercises will increase your HDL and lower your LDL. As a side benefit to your body, physical activities reduces the secretion of stress hormones, lowering your blood pressure, redistributes the water in your body and eases transit of the blood through the peripheral arteries. Personal development for men is dedicated to discussing the strategies, activities, practices and mindset necessary for every man to make your life's journey wonderful, inspired, satisfying, fulfilling, filled with an abundance of whatever you are looking for. Hypertension is common among people with alcoholism. Alcohol in moderation initially relaxes the peripheral arteries and lowers blood pressure, but high doses of alcohol raises your blood pressure. It can even lead to stroke. So be moderate in your drinking and try to have no more than one drink a day if you are a woman and two drinks a day for men. Increase your intake of calcium which is known to help reduce blood pressure. Adequate intake of potassium and magnesium appear to treat and even correct hypertension. If your magnesium is deficient the walls of your arteries and capillaries tends to constrict and so may raise your blood pressure. Likewise consuming a diet with adequate vitamin C seem to help normalize blood pressure. 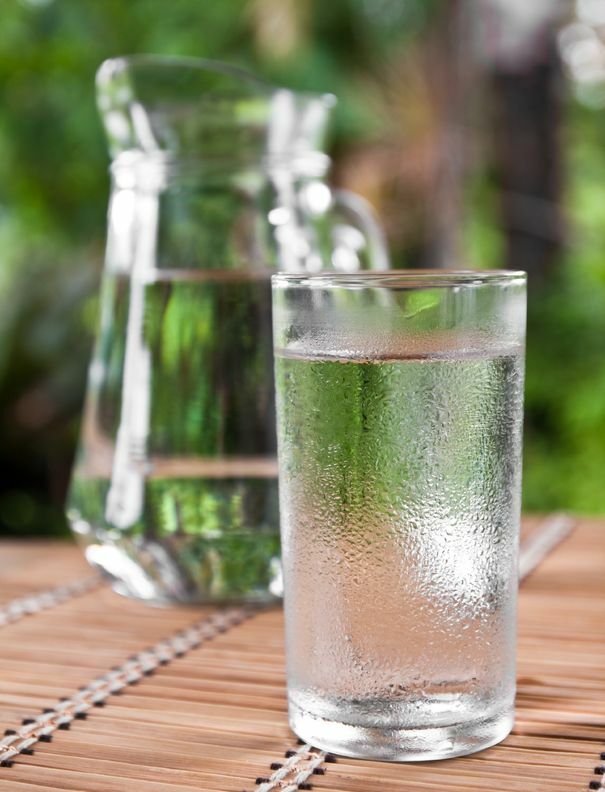 Why Is Water the Most Indispensable Nutrient? The cells within your body requires plenty of water to carry away the end products of your cell's life-sustaining reactions. Water is your body's transport vehicle for all the nutrients and waste matter. It dissolves your body's amino acids, glucose, minerals and many other substances needed by your cells. Fatty substances are within water-soluble proteins that enables them to travel freely in your blood and lymph. Water is your body's cleansing agent. Small molecules such as the nitrogen wastes generated during protein metabolism, dissolve in the watery blood and must be removed before they build up to toxic concentrations in your body. Your kidneys filter these wastes from your blood and excrete them, mixed with water, as urine. Hopefully your kidneys never become diseased due to diabetes or any other disorders, because if your kidneys are not working properly toxins can build to life-threatening levels. So how can nutrition and hypertension be controlled in your body? By providing your body with all the nutrients needed to keep blood pressure low. Consume a low fat diet with an abundance of fruits and vegetables, along with low-fat dairy products, while lowering your sodium intakes. And, as a added bonus you will lower your blood cholesterol levels, thereby protecting your heart. Hooray to Nutrition and Hypertension. What lifestyle have you adopted since you were diagnosed with high blood pressure? Are you feeling satisfied and are there any weight loss? Share your secrets on the diet that has reversed or complement your high blood pressure treatment. And how long have you maintained this way of eating?